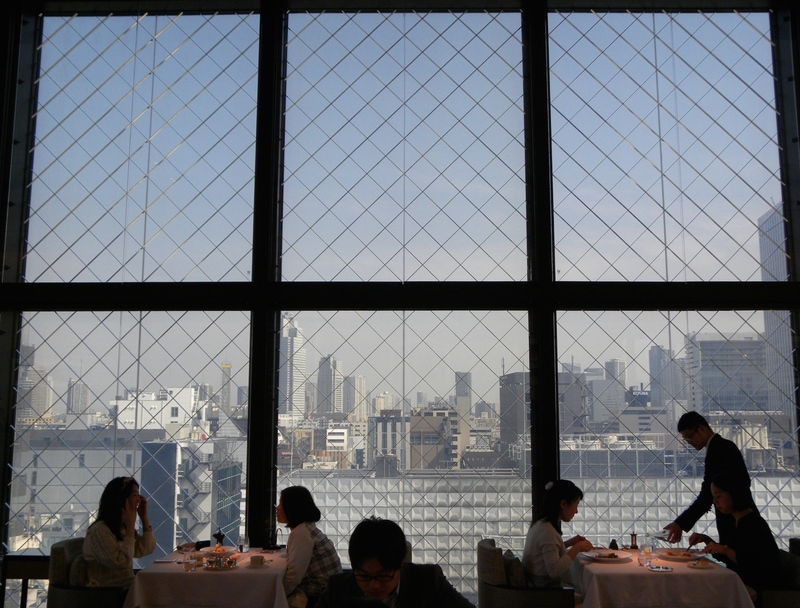 Feasting on Michelin starred cuisine on the skyline of Ginza- one of the world’s most luxurious shopping districts, is the best pick-me-up after an intensive shopping spree. 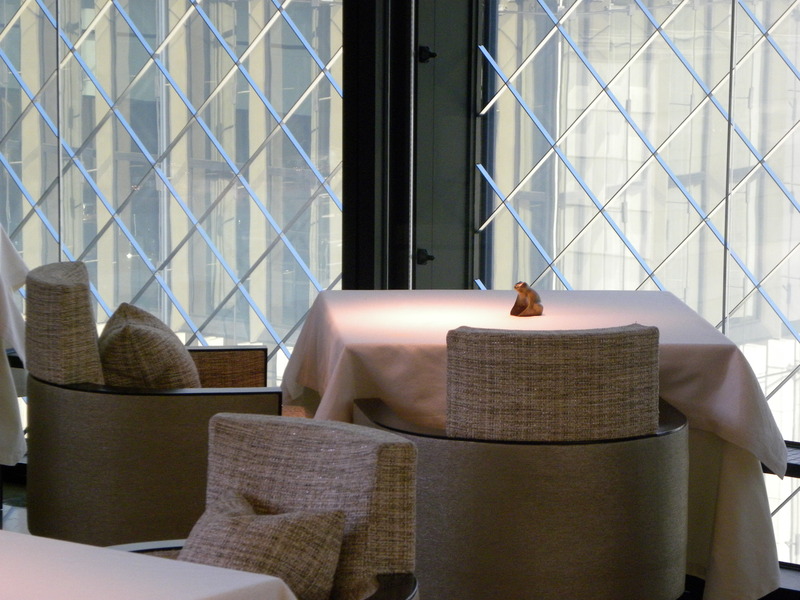 Alain Ducasse’s restaurant Beige, in collaboration with fashion brand Chanel boasts two Michelin stars and offers a sumptuous setting with excellent service and delicious food that indulges both sight and taste senses. Beige tweed upholstery in line with classic Chanel suits is used on the dining chairs and the large glass windows feature a square quilting diamond pattern similar to that of the Chanel 2.55 handbag. 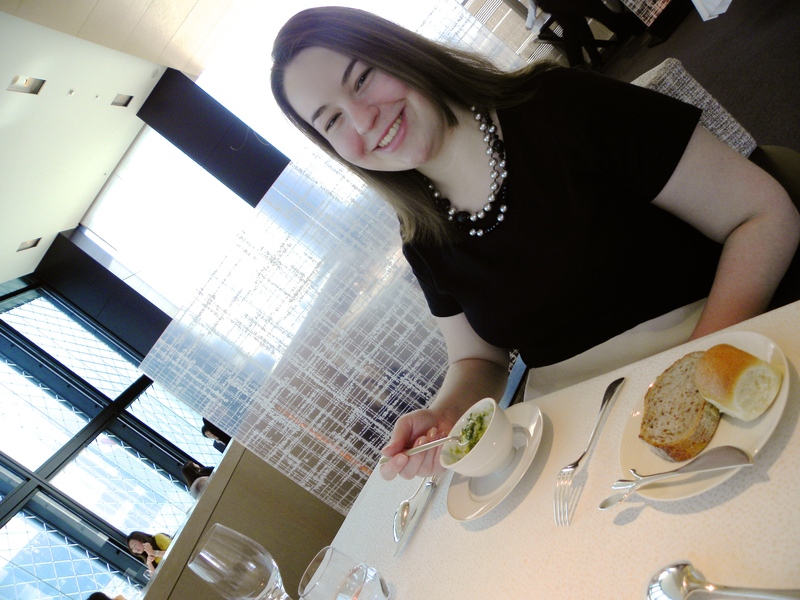 I chose a delicate green lentil soup followed by roast chicken from Bresse as appetizer. This was then followed by a main course of seared Kinmedai, two ways fennel, lemon jus. 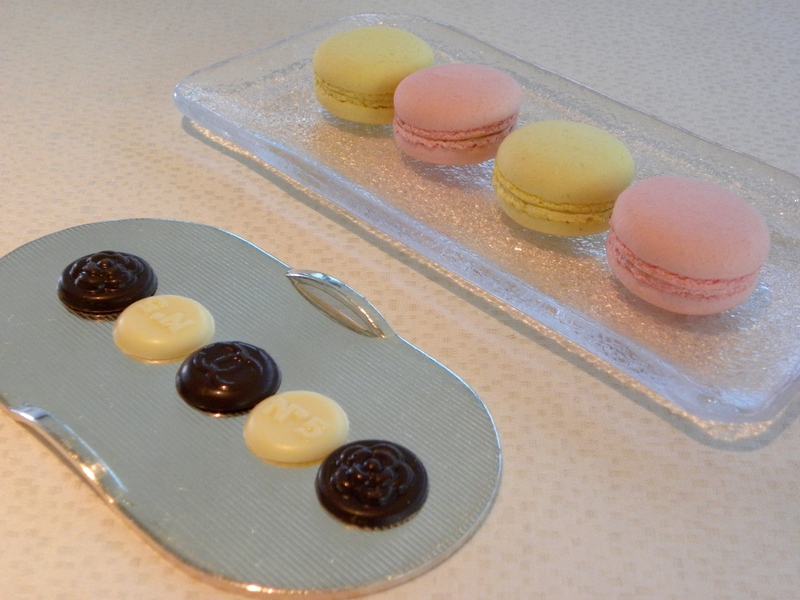 Small sweets included summery lemon and sakura (cherry blossom) macaroons with chocolate Chanel buttons. 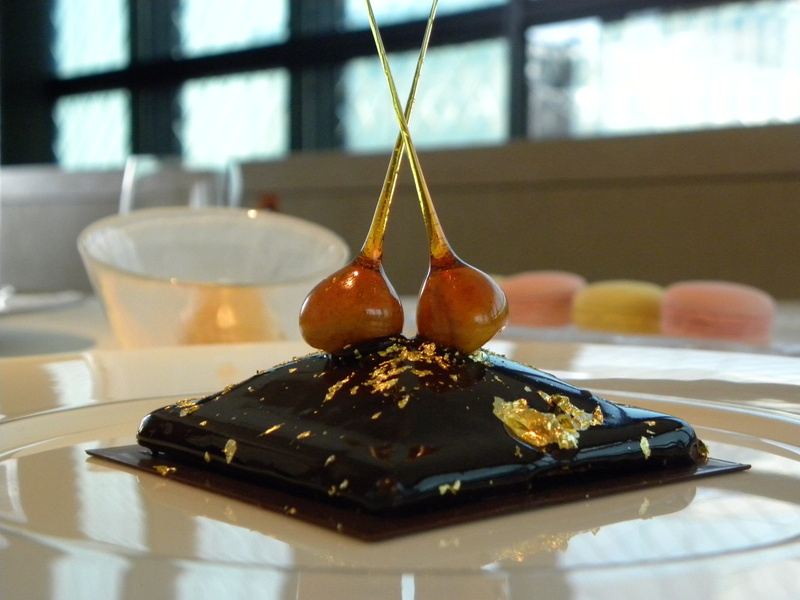 As for dessert, I simply had to try the lavish and indulgent chocolate-praline Chanel square sprinkled with gold leaf and served with hazelnut gelato. Délicieux! 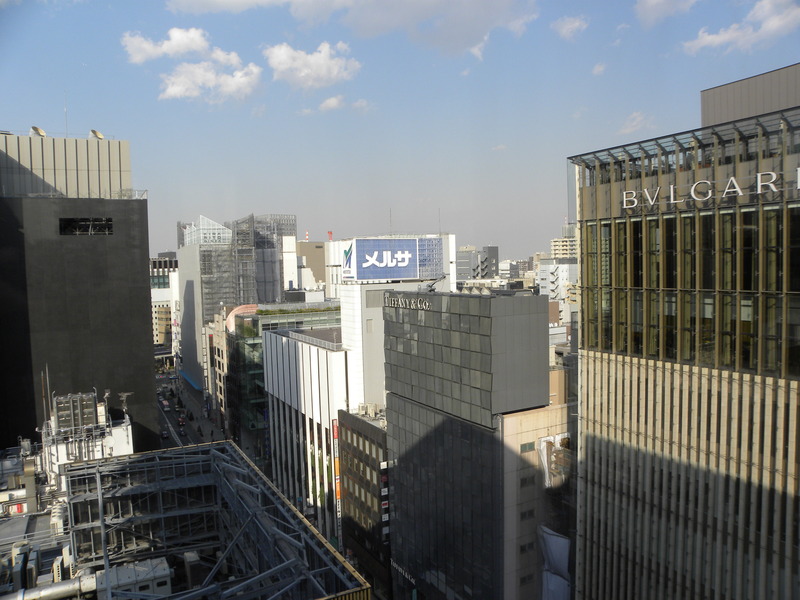 The restaurant also offers a fabulous view of the luxury lined streets of Ginza with the Bvlgari, Tiffany & Co. and Cartier buildings in the near distance. 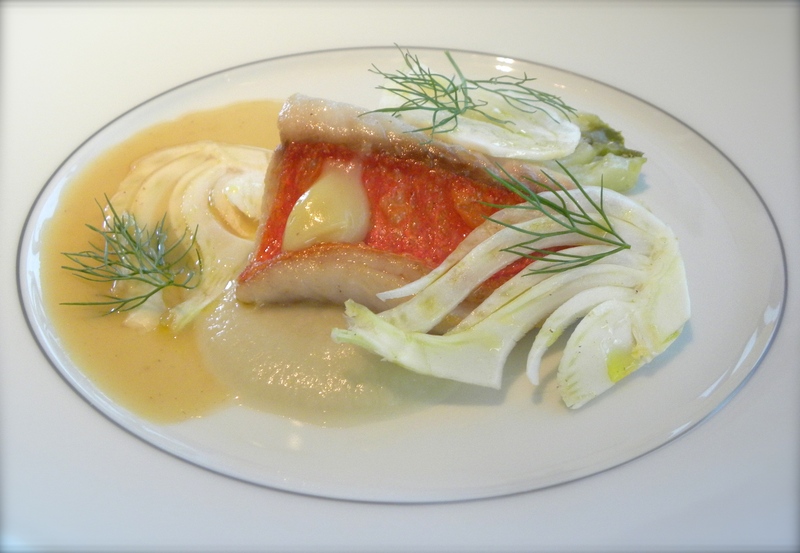 This entry was posted in Dessert, Food, Life style, Luxury, Restaurants, Tokyo and tagged Alain Ducasse, シャネル, ベージュ アラン・デュカス, ベージュ アラン・デュカス シャネル, ベージュ アラン・デュカス 東京, ベージュ シャネル, Beige Alain Ducasse Tokyo, Chanel, Chanel Beige, Fine Dining, Ginza, Luxury, Michelin Starred Restaurant, Tokyo by linneabylinneanilsson. Bookmark the permalink. This is such a green post I´m making that it reads just one word – ENVY!